I present a series of readings called Stablemates. Each event features conversation and poetry with three poets from one publisher. I have been invited by Scotland’s International Poetry Festival, StAnza, to present some events in St Andrews. It starts on 6th March – here is the full programme listing. and a Breakfast Panel entitled “Off The Page” on Saturday with Julia Bird, Will Harris, Sara Lodge and Ben Norris. It will open with a special performance by Laura Accerboni. Agnes Meadows, who runs Loose Muse, London’s Premiere Women Writers’ Night, has invited Sophie Herxheimer and me to be the feature poets but there’s an open mic so if you’re a female writer in any genre you can be heard too (men are welcome to come and listen). I featured at an event in Brixton to promote women in music and the arts, in a safe and nurturing environment; to foster and strengthen connections. There were also DJs, gypsy fusion music and dance from Shkembe Soup, flamenco dance and guitar, and experimental groove from Eke Homo. 2nd July – I presented Desert Island Poems with Miles Jupp. I was invited to join Peter Raynard & Richard Skinner as they tour the UK to read from their new books Precarious & The Malvern Aviator, both published by Smokestack Books, as were Soul Patel, Roy Marshall, & Pnina Shinebourne. I chaired a panel/reading at the London Book Fair about the #MeToo poetry anthology with the editor, Deborah Alma, the publisher Nadia Kingsley of Fair Acre Press and poet Jacqueline Saphra. I presented the launch of Assembly Lines by Jane Commane, also reading were Raymond Antrobus, Peter Raynard and Seraphima Kennedy. I read from the #MeToo anthology for International Women’s Day with Jacqueline Saphra, Michelle Penn and editor of the anthology, Deborah Alma. 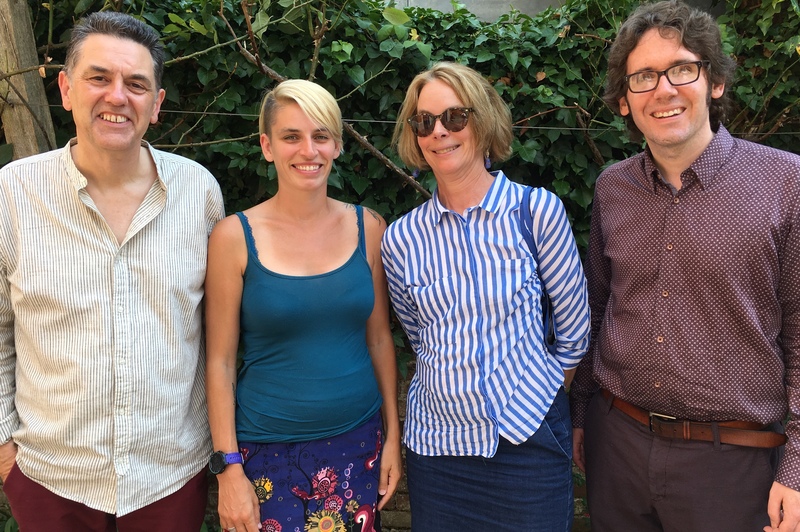 As part of Verve Poetry Festival at Waterstones Birmingham I presented a Stablemates with the editor and writers of the first two full collections from new press Offord Road Books – Martha Sprackland, James Brooks and Bobby Parker. I was invited by Naomi Woddis to read at an event celebrating her photographic exhibition exploring the relationship people with chronic invisible conditions have with their pets. At the Free Space Project, Kentish Town Health Centre with Leila Segal, Rishi Dastidar, Jasmine Cooray and Miriam Nash. The Torriano Meeting House has poetry readings every Sunday night. This one was curated by Lisa Kelly and featured four poets who had been included in Magma 69: The Deaf Issue which she co-edited. Jill Abram presents Stablemates in Birmingham! A Poetry Salon for National Poetry Day with Roger McGough, Hugo Williams and Malika Booker of Penguin Modern Poets. A Poetry Salon with Grace Nichols, Miriam Nash and Chrissy Williams of Bloodaxe Books. A Poetry Salon with Ruth Padel, Liz Berry and Kayo Chingonyi of Chatto & Windus. Feature poet at Black Cat Poets, Denton, Manchester. I was delighted to present the launch of Rishi’s debut poetry collection. There were also readings from Katie Griffiths and Alex MacDonald. I co-hosted this event with Tamar Yoseloff, editor of Hercules Editions which published Sean O’Brien’s chapbook Hammersmith. 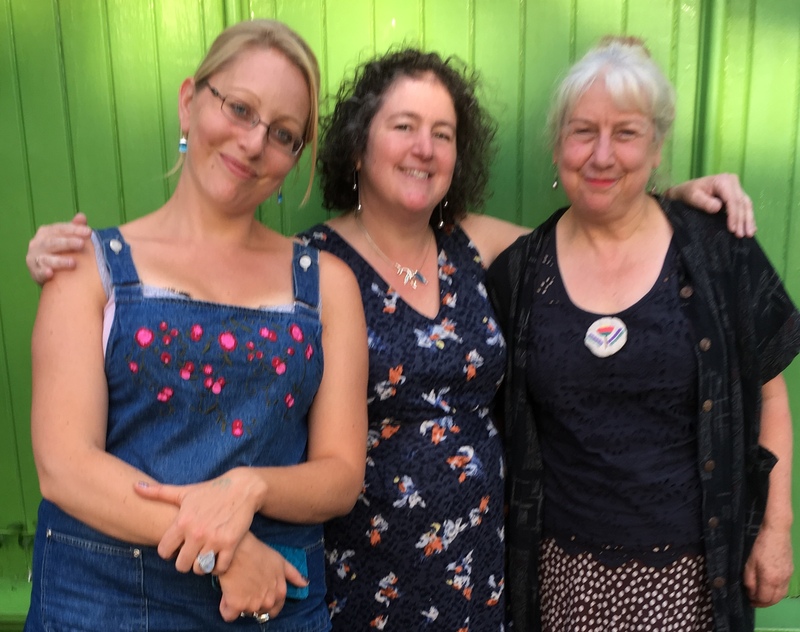 I was one of the features at Loose Muse Winchester – a spin off from the London series for women writers – alongside award winning novelist Claire Fuller. A Poetry Salon with Kei Miller, William Letford and Kate Miller of Carcanet. 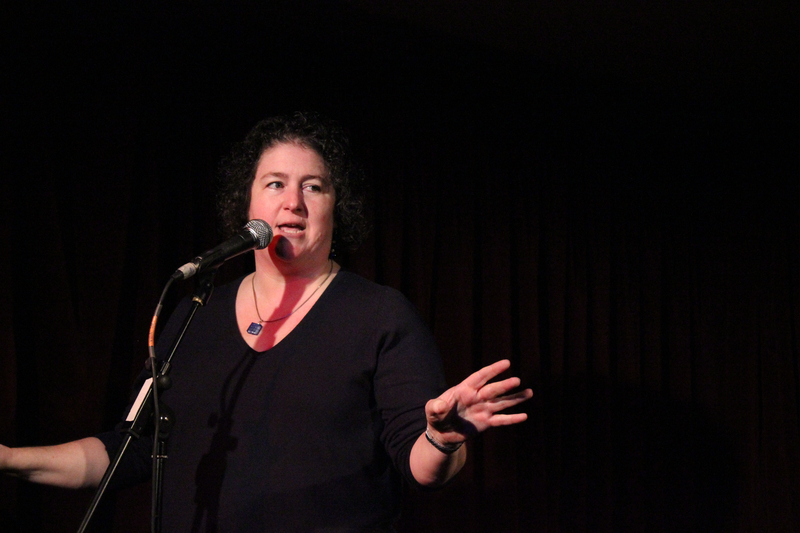 I was the showcase poet at a special edition of Beyond Words. The main feature was the premier of SALT MUSIC – the story of Hessle Road and the fishing folk of Hull with words by Angela Brodie and music by Steve Halliwell. 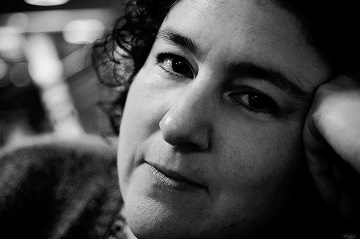 A Poetry Salon with Tamar Yoseloff, Caroline Smith and Rosie Shepperd of Seren Books. A Poetry Salon with Ross Sutherland, Claire Trévien and Charlotte Newman from publisher Penned in the Margins. Jill Abram presents Look Who’s In Town! Matthew Siegel, Mona Arshi and Karen McCarthy Woolf were nominated for the Forward Best First Collection Prize in 2015, which Mona won with Small Hands. While Matthew was on this side of the Atlantic, I got them together again plus special guest Yomi Sode for a unique reading. Upstairs at the Wheatsheaf pub, 25 Rathbone Place, London, W1T 1JB.